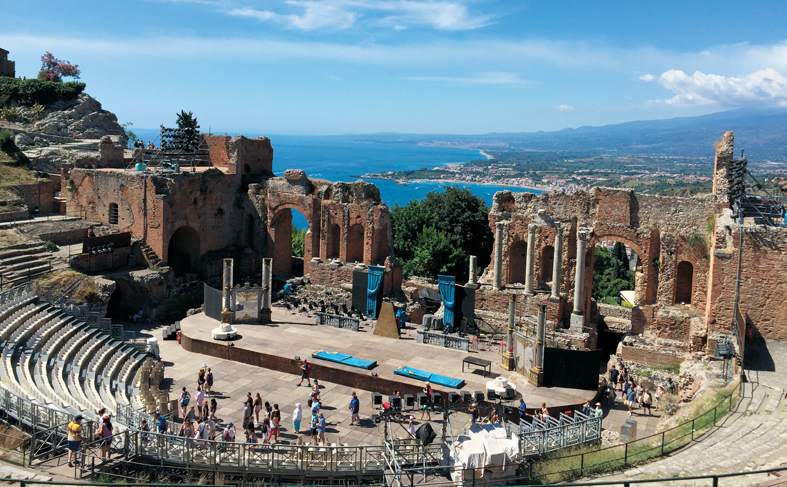 At the crossroads of Africa and Europe, Sicily, rich in history and culture, is of breathtaking beauty. Famous for its volcanoes, the largest Mediterranean island is impressive, but also with a wild charm. 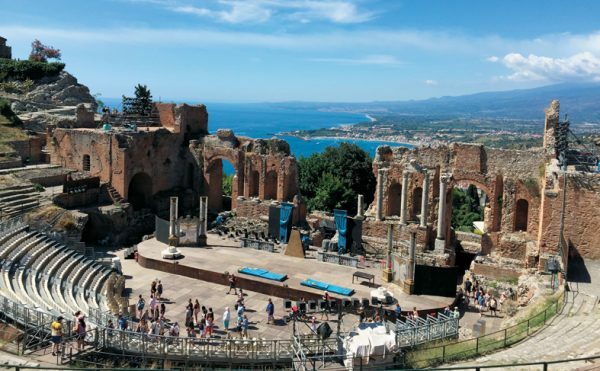 Named the island of the Sun, the land of the Cyclops, Trinacria, then Sicily, its strategic position at the center of the Mediterranean explains its cultural wealth. According to historian Bochart the origin of the word Sicily could come from «Sichul» Phoenician word meaning «Perfection». Island home of the legendary «Godfather», it is often associated with the Mafia, which, although still existing, is not a danger to tourists. The atmosphere on the island is similar to that of «Cinema Paradiso», which was filmed there, rather than that of the reckoning of «Il Padrino». 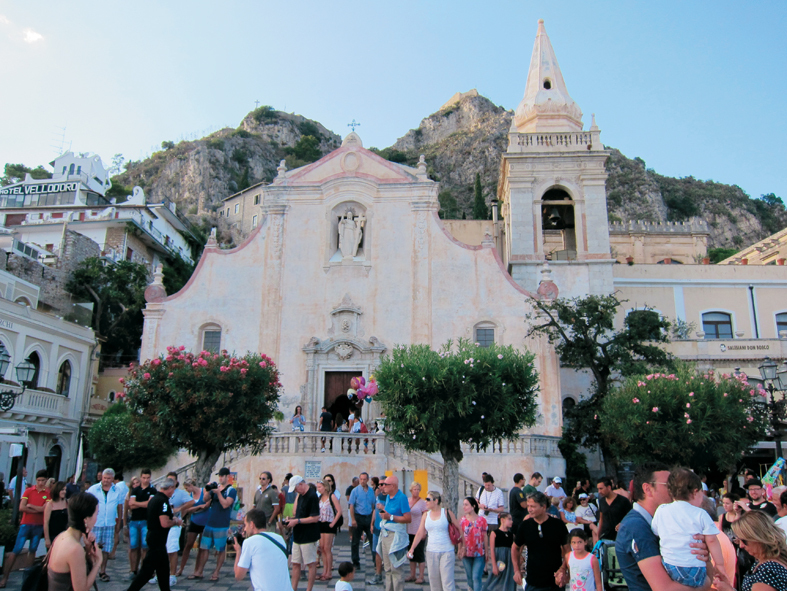 A poetic atmosphere, playful, making it one of the favorite holiday destinations for Italians themselves as well as tourists from around the world. Ideally located at the foot of Mount Etna and majestically erected on the side of a cliff overlooking the sea, Taormina offers visitors a stunning panorama. We start our day with a walk in the park Duca di Cesaro, one of the most beautiful parks in Sicily. The gardens, created in the late XIXth century by Lady Florence Trevelyan, invited to leave England after her romance with Edward VII, do not fail to tame us. The shaded paths, the fanciful Victorian-inspired pavilions, trees and exotic flowers, the sea views … make time stop … and we struggle to leave. After the park, we begin the descent to the sea, through narrow streets and winding staircases, lined with wild plants and cacti. Along the way, every corner offers stunning views of the coast and Isola Bella. Arrived on Isola Bella, we take a boat that takes us to the discovery of the coast and surrounding sea caves. The city being built on the heights allowed the coast to preserve its wild beauty. Back on the Island, we take the cable car which takes us back to the town, where we cross the Corso Umberto I, the main street of Taormina. It is lined with medieval streets in which one can get lost, so every street, every flowered balcony, each building … is full of poetry. In the evening we will go to a lyrical concert at the Greek Theatre, the symbol of the city. 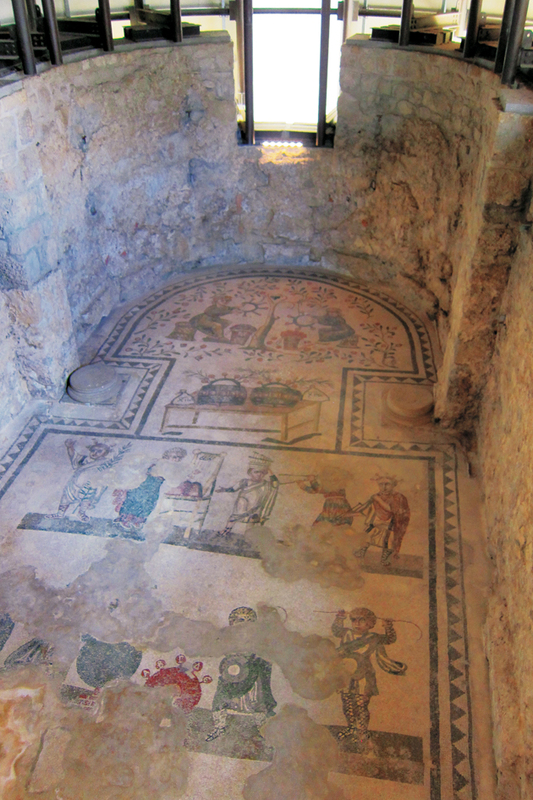 Its unique location makes it one of the most famous Greek theaters. Sitting in the stands, we are so amazed by the view of the sea and Mount Etna I decided to come back the next morning to admire during the day this striking spectacle. 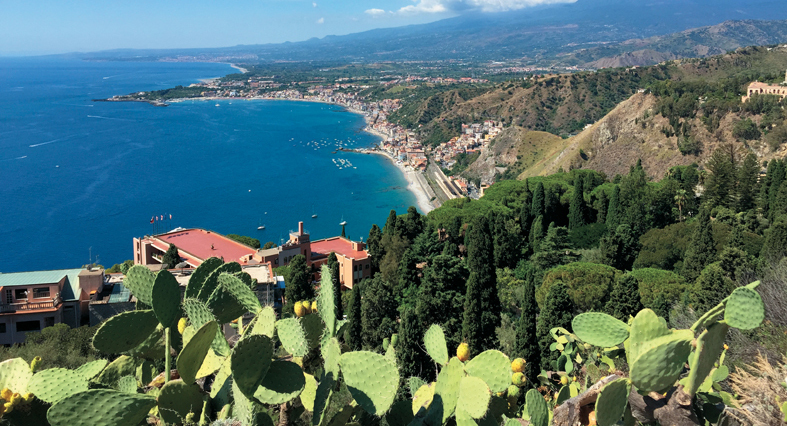 Taormina enjoys breathtaking views of Etna, but nothing like exploring the lunar landscape offered by craters of the volcano, which rises to 3,330 meters. Etna is the largest volcano and the most active in Europe and the second most active volcano in the world after Kiloeain Hawaii. Revered and feared at the same time, the Sicilians call it Mongibello, from the Arabic Gebel, Mont des Monts. 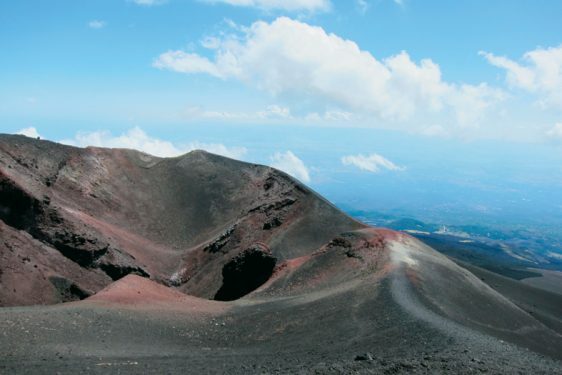 Recognized by UNESCO in 2013 as a natural heritage site, Etna is a volcano that is not easily tamed. Arrived at Refugio Sapienza, we take the cable car and an all-terrain vehicle that takes us to 2,900 meters. We continue our ascent on foot, following our guide who takes us to discover craters formed by 2002 eruptions. The bravest can even perform all the ascent on foot, but be ready to make the ‘climbing! On the heights, the dark gray basalt floor, the smoke that continues to escape craters and breathtaking views offer a landscape from another planet. Off the track, we then head to Agrigente, in southern Sicily, where we are invited to the wedding of Sicilian friends. Although being a very rich historical area, it is not always part of the touristic itineraries and therefore enjoys an unspoiled beauty. Founded by the Greeks in the VIth century BC, Agrigente is characterized by the Valley of the Temples, a magnificent archaeological site listed Unesco World Heritage since 1998. We visit this timeless valley and its majestic Doric temples built in honor of Olympian Zeus, Concord, Hercules and Hera. Olive and almond trees that line the fairways, and the warm colors of sunset complement the magic of the place. Fabio and Chiara our friends have chosen the church of San Nicola in the temples to celebrate their marriage. The ceremony is followed by a reception at the Parco Chiaramontano, a magnificent castle surrounded by gardens. 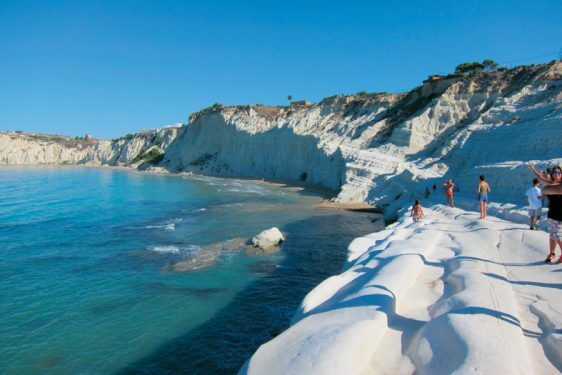 The next day we visit the Scala dei Turchi, a rocky mountain overlooking the Mediterranean, whose relief unfolding before our eyes huge white steps carved at regular intervals by natural erosion. This exceptional beach is often cited among the most beautiful beaches in the world. 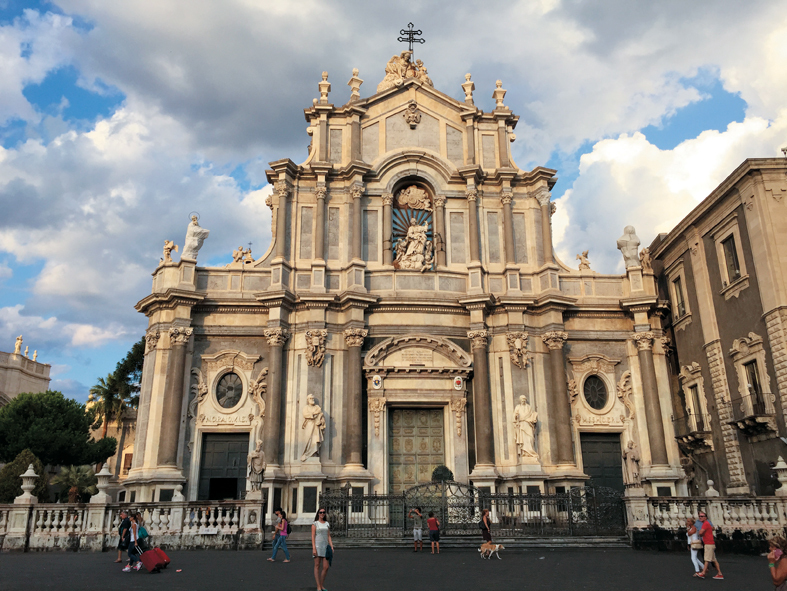 After a brief passage by the Villa del Casale, lavish Roman mansion that has long been buried underground, we conclude our journey in Catania, the second largest city in Sicily after Palermo. The city had a glorious past reflected in its baroque monuments. However, it sleeps on its laurels, the monuments are not restored, the inhabitants have mostly left the city … But the charm and authenticity remain. 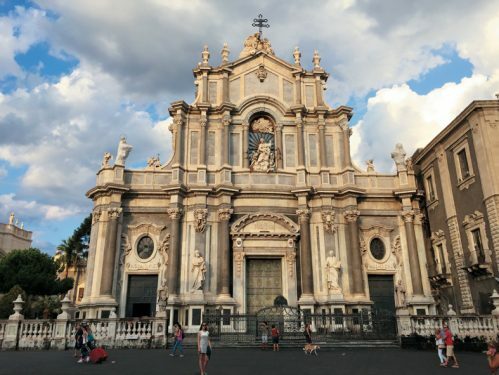 We’re going to explore the Palazzo Biscari, Piazza del Duomo, the Roman Amphitheatre … we finally leave Catania after tasting the best Cannollis, delicious and inimitable Sicilian sweets. In Taormina Hotel Monte Tauro, a hotel that combines breathtaking views of the sea and closeness to downtown. In Realmonte, Agrigente Scala dei Turchi Resort, a beautiful hotel that allows you to walk to the Scala dei Turchi. In Agrigente Trattoria Caico, sharing delicious seafood, away from the tourists. In Catania Pasticceria Savia, to taste the best cannollis of Sicily.